Brittney Griner arrested: Assault allegations in seeming domestic dispute. Brittney Griner in September 2014. WNBA forward and former Baylor star Brittney Griner was arrested Wednesday in Goodyear, Arizona, on assault and disorderly-conduct allegations, multiple news outlets report. (Griner plays for the Phoenix Mercury.) 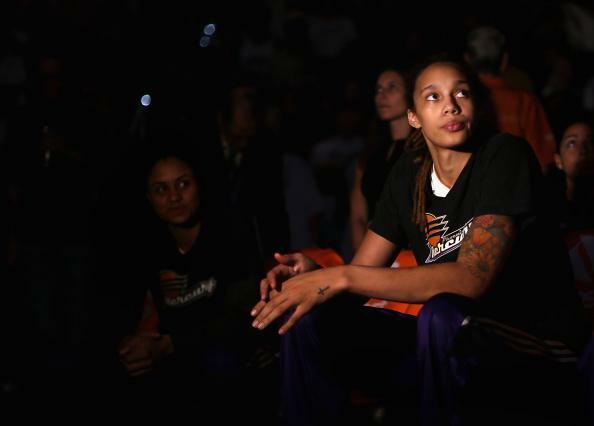 Griner’s fiancée, WNBA forward Glory Johnson of the Tulsa Shock, was arrested on the same allegations. Griner won the NCAA women’s basketball championship in 2012 with Baylor and the WNBA championship with the Mercury in 2014. She’s also played professionally in China, where female players can earn much higher salaries than what they’re paid in the WNBA, and where she was wounded in an apparently random knife attack.